I have to be an example." “Today I work in a male dominated work force. In line with our mission to create and identify exceptional students from underprivileged backgrounds and under-resourced communities as well as to enable access to quality education, the Tiso Foundation entered a partnership with Michaelhouse to pilot a programme. This prestigious school was founded in 1896 by the Anglican Priest Canon James Cameron Todd. It is a boarding school for boys set in the KwaZulu-Natal Midlands in South Africa, providing secondary education from (Grade 8) to (Grade 12). 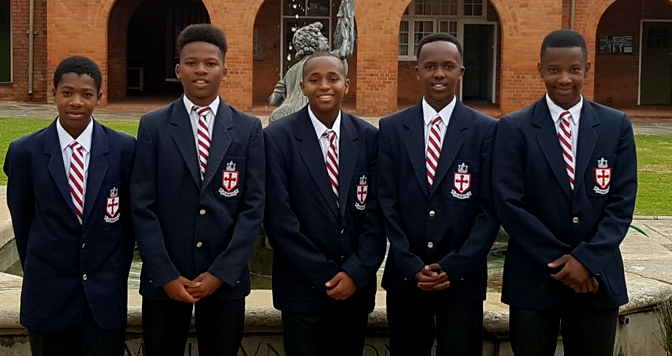 The aim of the initiative is to identify young black men who fit the academic and leadership criteria for selection into Michaelhouse but would otherwise never have the opportunity to study at the institution as a result of financial constraints. Through the partnership, five boys are being funded over a five year period (Grade 8 – 12), with Michaelhouse and the Tiso Foundation contributing 50% of each boy’s tuition and accommodation costs. The first five Tiso Foundation bursars started in 2016, and we hope to increase access to more boys over the next few years.